UNIQLO may be one of the most underrated brands out there, but for me, being big girl size by Japanese standards, it has more often than not been a lifeline. Their skinny jeans are truly awesome – my own are VERY well loved (and going a bit thin at the knees in fact). They are an excellent go to for basics, are affordable, and always have exciting collaborations and projects in the pipeline. 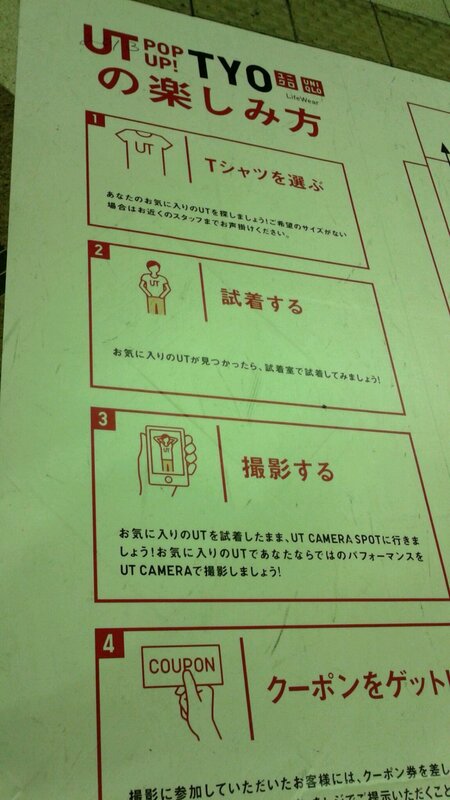 So, being a UNIQLO aficionado, it was with trembling anticipation that I greeted their current scheme. 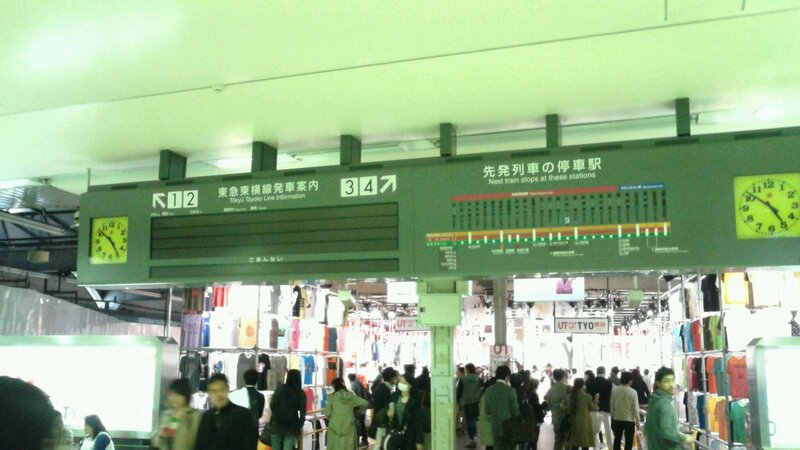 Shibuya station recently played host to an event that brought hundreds (possibly thousands) of enthusiasts flocking to its platforms – no, not an appearance by Arashi or Lady Gaga or a Korean boyband, but the merging of the Toyoko and Fukutoshin lines (while many have said it’s more convenient, I shall refrain from comment as I rarely use it). For anyone not in Japan, this was rather big news. The space where the old platform used to be has now magically morphed into an event space, and this (if you were wondering where this was all going) is where UNIQLO comes in. 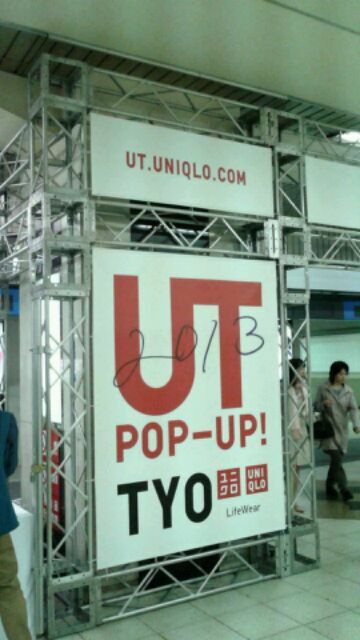 UNIQLO have set up a funky UT pop-up shop there for four days only. How novel! Obviously, it was my duty to go and take a look and it did not disappoint. 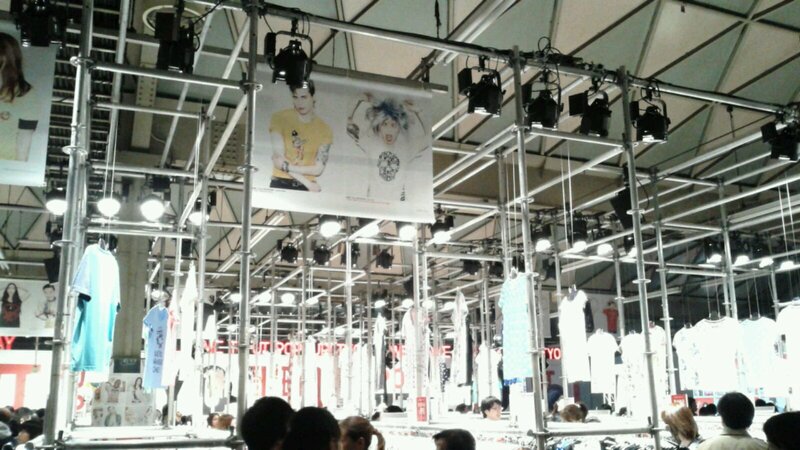 Where the platform used to be, a kaleidoscopic array of T-shirts festooned the space. 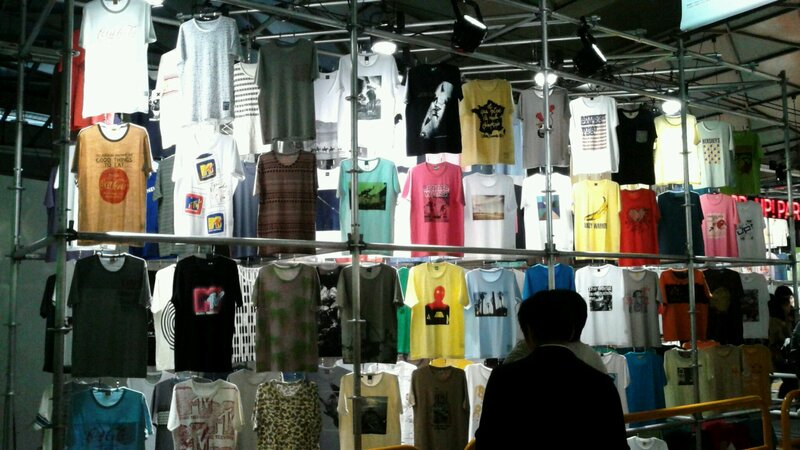 People were taking photos galore, and rummaging through the racks to find the One. Now, why is this so exciting, you might be wondering? The concept? Let me break it down. 1) Pick out your T-shirt (mine was a very cute Minnie Mouse one). 2) Shoot your 3 second stop motion video (I chose to blow kisses to an adoring (I wish) audience). 3) Said video is then digitally uploaded onto the massive continually scrolling plasma screen that has been set-up. 4) Pay for your T-shirt (which will now be even cheaper because of the photo shoot). 5) Play “Where’s Wally?” (or rather “Where’s [insert name here]?”) and find yourself on screen. 6) Feel like a superstar (and I did!). I had such a fun time doing this! 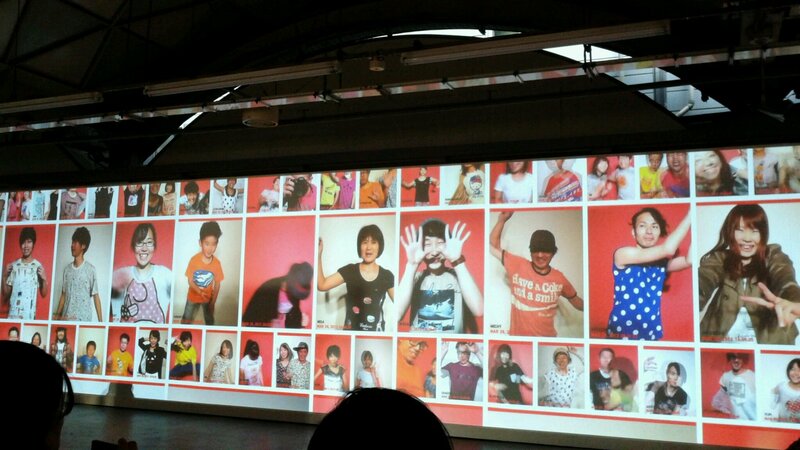 UNIQLO really know how to make you feel like a star.